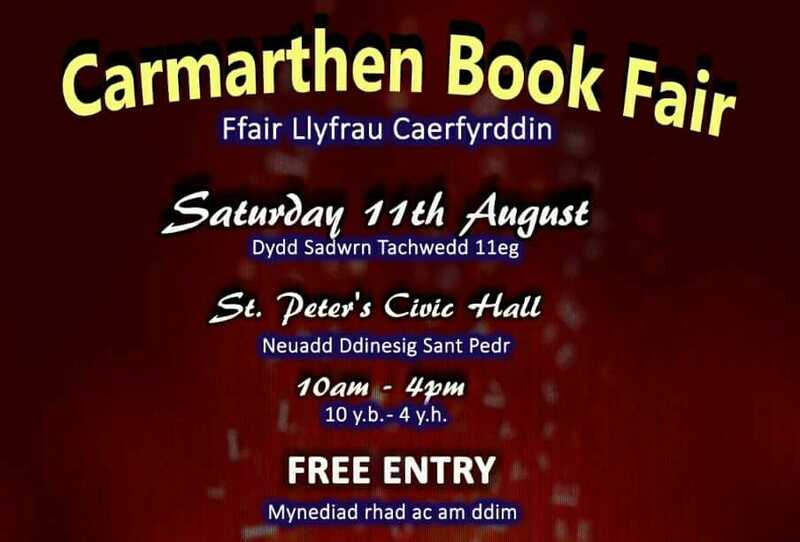 The Carmarthen Book Fair is this Saturday, 11th August, created and organised by the fabulous, John and Sarada Thompson. I invited them both to share a little more about themselves on my blog. John was earlier in the week https://wendysteele.com/2018/08/06/john-thompson-author-and-gentleman/ and today is Sarada’s turn. I’ve never met anyone who radiates warmth and love the way she does. Thank you so much Sarada for sharing with us. I write when the muse calls. An idea which could develop into a plan, which gets derailed by the story which usually has a life of its own. 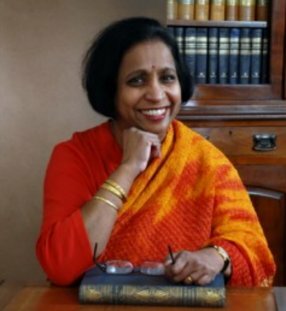 Having started as a reporter for newspapers, always thought myself as a writer of non-fiction, until I found myself writing fiction and enjoying it. No rituals, but I do like my cups of chai-tea. And a hot-water bottle for my feet as I do literally get cold feet. Mahabharata by Kamala Subramanium – I will have time to digest the finer points thoroughly. Judas, Man of Myths by John Thompson – I’ll have time to reflect and be inspired on this view more than the institutionalized one. Purple Hibiscus by Chimamanda Ngozi Adichie – The issues addressed here – religion, hypocrisy, coming-of-age, domestic violence – would be derivative and clichéd in the hands of a lesser writer. Powerful. Sort Stories by my grandchildren Shivani12 & Raman Cook 9 Although so young, their insights in the open childlike way enthrals & inspires pride & hope. Quite a few more of the picture stories – I hope my hand is steady to continue illustrating. Savitri; Durga: The Demon Slayer. Here we have ten stories of the famous elephant-headed Lord Ganesha – from how Lord Ganesha got his elephant head to the story of Lord Ganesh and the frogs! The stories are esentially an allegory of the soul’s journey toward enlightenment, but some stories are utterly down-to-earth, playful stories about simple folk with a God. Savitri is about to lose the love of her life. Is there any way she can prevent this from happening? What will Savitri do? Will she be prepared to go to the end of the world and beyond – to the Land of the Dead and perhaps intercede with Lord Yama, the Soul-Collector, himself? This is the story of the legendary Meenakshi, the Warrior Princess of Madurai. Born in ancient times in a land ruled by men, Meenakshi refuses to be ruled by them. Who is this courageous soul and what will become of her? Thank you so much Sarada and John for joining me this week and sharing with your readers. Don’t forget, you can meet them and a host of other fabulous authors at the Carmarthen Book Fair this Saturday. We’re waiting to talk books with you all! Grand reading, such a beautiful couple!